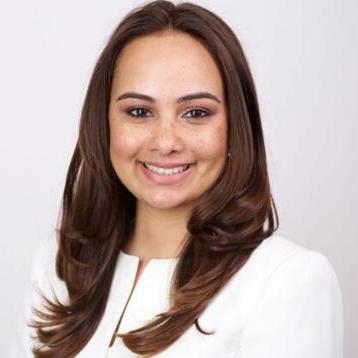 Leann is a New York City based attorney who practices immigration and human rights law. Her passion for serving migrant communities stems largely from her own experiences with U.S. immigration and cross-border settlement. A unique understanding of these systems and processes allows Leann to connect with her clients on a personal level. Resilient and purposive, she achieves the most favorable outcome for her clients by forming creative solutions to complex legal issues. Leann is available via Skype, phone, and email, and can provide meeting spaces throughout the Greater NYC and Northern New Jersey regions. "Leann was great. She was knowledgeable and communicated clearly in a timely manner. I would definitely engage Leann's services again if needed, and I recommend Leann." ""The women of Stanick & El-Naggar were incredibly poised, professional, and knowledgable, to say the least. Leann provided detailed guidance on the appropriate steps for my family member's immigration matter. Her demeanor was immensely comforting in this time of stress, and we were able to resolve our concerns thanks to her expertise and patience. I would highly recommend their services for your legal concerns."" Conduct legal intake interviews with potential clients seeking to be freed from forced/arranged marriages. Summarize and report on clients’ relevant family and immigration law needs. Research and report on child marriage laws internationally and domestically. Provide immigration services such as Family-Based Petitions, Employment-Based Petitions, Adjustment of Status, Citizenship or Naturalization, Visa Applications, and other legal processes. Collaborate with local and international NGOs to represent victims of human rights violations pro bono under a Human Rights Initiative. Researched and drafted memorandum on international criminal law issues and internal court regulations used to create Practice Directions. Presented a summary and analysis of the weekly filings at the weekly office debriefing meeting. Performed document review for the Fraud Investigation & Dispute Services Division, including making legal determinations on confidential financial and accounting business records. Researched and drafted memoranda in the areas of Employment, Litigation, and Intellectual Property Law. Conducted legislative research and drafted a memorandum on a wrongful conviction claims bill.